Join our golf pros and their esteemed research caddies to navigate your way through life’s twists and turns. 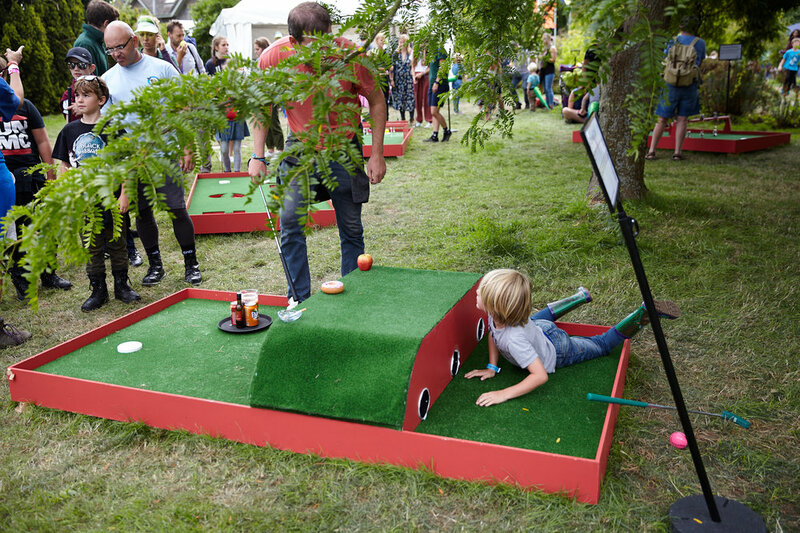 Will you hit a health hole in one? Or get stuck in a bunker of bad luck? This playful experience connects you with the amazing stories uncovered within cohort studies. It is a collaboration between fanSHEN and the MRC Unit of Lifelong Health & Ageing at UCL. 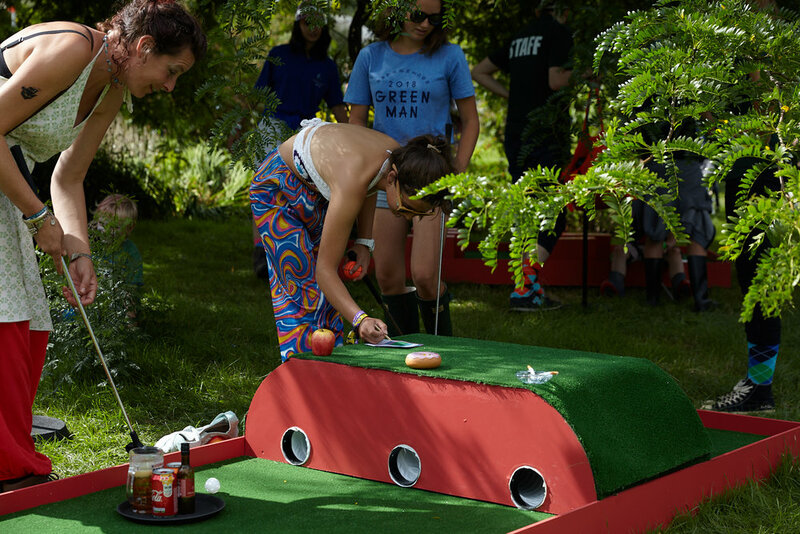 Life Course Golf Course premiered at in Einstein’s Garden at Green Man festival in August 2018. Over 1500 people played over the 3 days of the festival. 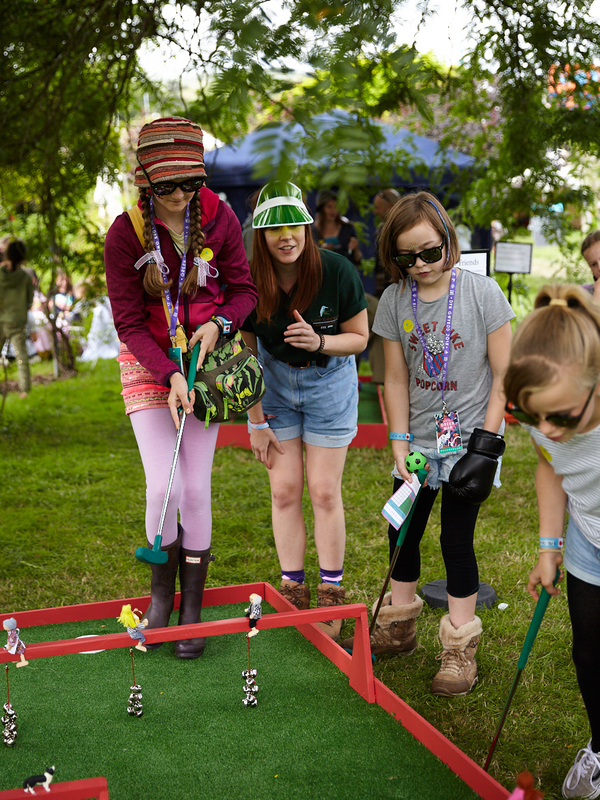 There will further outings in 2019 - if you’d like to bring science-themed mini-golf to your festival, museum or birthday party, get in touch! Life Course Golf Course is supported by the Medical Research Council.